Top Agent Magazine Nationwide and International edition features the best real estate agents and industry partners throughout the world. Agents from all 50 states are featured as well as Canada and Europe. Our Nationwide & International real estate magazine profiles the best of the best in the world real estate professionals. 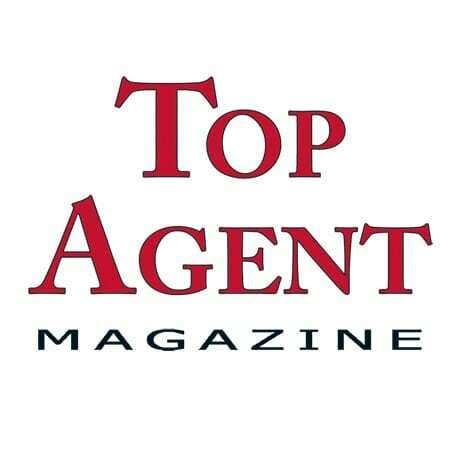 Top Agent Magazine Nationwide & International has featured Top Agents from Alabama, Alaska, Arizona, Arkansas, California, Colorado, Connecticut, Delaware, Florida, Georgia, Hawaii, Idaho, Illinois, Indiana, Iowa, Kansas, Kentucky, Louisiana, Maine, Maryland, Massachusetts, Michigan, Minnesota, Mississippi, Missouri, Montana, Nebraska, Nevada, New Hampshire, New Jersey, New Mexico, New York, North Carolina, North Dakota, Ohio, Oklahoma, Oregon, Pennsylvania, Rhode Island, South Carolina, South Dakota, Tennessee, Texas, Utah, Vermont, Virginia, Washington, Washington D.C., West Virginia, Wisconsin, and Wyoming. The real estate agents featured in the Nationwide & International edition of Top Agent Magazine have earned their place because of their commitment to providing the best real estate service available. They are innovative in marketing your home for sale, renowned for pairing Nationwide & International home buyers with their perfect home, and experts at negotiating your home sales and purchase prices. These Nationwide & International real estate agents and brokers specialize in working with home buyers, sellers, investors, home flippers, short sale properties, REO or foreclosed properties, vacation homes, relocation and so much more. At Top Agent Magazine, we consider every nomination we receive for publication. However, real estate agents, brokers, rising stars and others must meet certain criteria. All real estate agents, top real estate brokers and others profiled in the Nationwide & International edition of Top Agent Magazine do something unique which makes them stand out from the others. They include rising real estate stars in the real estate market. They are real estate agents and brokers with decades of experience in specific communities in the world. They have proven expertise in marketing Nationwide & International homes for sale. They are the best brokers in the world, who volunteer and spearhead charitable endeavors to benefit the communities in which they work, live and play. To nominate a real estate agent, broker, or industry partner for possible inclusion in the Nationwide & International edition of Top Agent Magazine, click here.